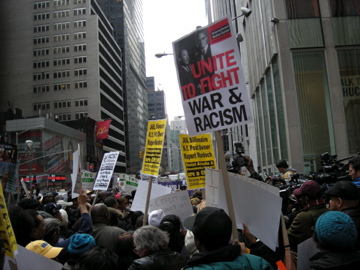 We’ve blogged here before about the issue of racial discrimination in the stop-and-frisk policing practice in New York City. There is lots of data that shows stop-and-frisk is discriminatory, harmful to communities and is not effective at “getting guns off the streets,” as is frequently claimed by advocates of the policing strategy. And, it’s very likely unconstitutional. Bill diBlasio, the newly elected mayor of New York City, has promised to end stop-and-frisk and that means there is a new future ahead for the city and the communities most affected by this policy. If you are teaching a class or training people in your organization, you can also use this Information Guide as a tool for teaching and learning about stop-and-frisk. You can download the guide(pdf) and reuse it for teaching, research, activism or media. On June 3, 2011, three plainclothes New York City Police officers stopped a Harlem teenager named Alvin, one of 600,000 mostly Black and Latino young men who are stopped for no reason except their race (and gender) each year in New York. Although perhaps not surprising, part of what is compelling about this short video clip is that includes interviews with two members of the NYPD. With their identities disguised, two officers from two different precincts in two separate boroughs speak about the same types of pressures put on front line police from higher-ups to meet numerical goals or face disciplinary action and retaliation. Most chillingly, both officers use the word “hunt” when describing the relentless quest for summonses, stops and arrests. The racial pattern of these stops – something like 87% of the stops are of Black and Latino young men – and the utter lack of effectiveness in terms of ‘policing’ – only 1% yield any weapons – highlight the stark racial policing of these practices. It seems clear that the NYPD’s policing is intended to exercise control over young men of color in the city, and that these policies are guided by Police Commissioner Ray Kelly and Mayor Bloomberg. These unjust, racist police practices will remain in place until those at the highest levels of city government decide to take action to dismantle these policies. First, let me begin with a personal note about the FDNY. I was in New York City when the terrorist attacks occurred on 9/11. I was grateful on that day that my loved ones came home that day from working in lower Manhattan, shaken but not physically harmed. I was so moved by the heroism, and devastating loss, to the FDNY (343 died) on that day — and so befuddled about what to do in the face of that overwhelming tragedy — that one of the things I did was what my people do when someone dies: I cooked and delivered food. Specifically, I cooked a huge batch of fried chicken and walked it over to the firehouse nearest my apartment. I say that to let readers know that I have a tremendous respect for the day-to-day heroism of firefighters and the work that they do. And, yet, in watching all those funerals for firefighters after 9/11 it was impossible not to notice how overwhelmingly white and male the FDNY remains. The racial composition of the fire department is no accident. 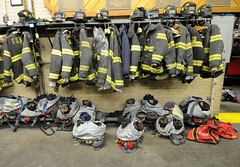 A judge in New York ruled that the FDNY had engaged in a deliberate “pattern, practice, and policy of intentional discrimination.” Back in July, 2009, Judge Garaufis ruled that the FDNY used a test in 1999 and 2002 that had a discriminatory effect on black applicants. In his ruling on Wednesday, January 13, 2010, the judge found that the city intentionally discriminated against blacks in using those tests and in ignoring calls over the years to change the testing procedure. The suit was brought by three people who took the test and by the Vulcan Society, a fraternal organization of black city firefighters. Legal experts said the decision was the first in recent memory in which a court had found that the city had intentionally discriminated against a large group of people in the workplace. 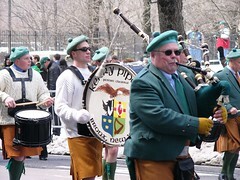 There is also evidence that those at the highest levels in city government, including (former) Fire Commissioner Nicholas Scopetta and Mayor Bloomberg, were aware of this “pattern, practice and policy of discrimination” at the FDNY and did nothing to stop it, although the judge’s ruling stopped just short of holding them legally responsible. However, the judge did write that he found strong evidence to suggest that they were made aware numerous times that the Fire Department’s entrance exams were discriminatory, yet failed to take sufficient remedial action. Mayor Bloomberg testified at a deposition in August that he “did not recall” receiving a report more than six years ago warning him about sharp differences in the pass rates between white and minority candidates for firefighter jobs. Part of what is so remarkable about this decision is that it is one of the few court decisions in recent memory that finds there was racially discriminatory intent, rather than simply a disparate-impact. Washington’s comment in the NYTimes highlights gender discrimination, not addressed by this court decision. Make no mistake, the FDNY has also systematically and intentionally discriminated against women over its 145-year history. The story of Brenda Berkman illustrates how difficult it is even for women with white skin privilege who still face gender discrimination. Berkman is a white woman who sued the FDNY and eventually became a Captain in the Fire Department, There is an excellent documentary by Bann Roy about Berkman, called “Taking the Heat.” The film also touches on the struggle of black firefighters and includes some interviews with members of the Vulcan Society. Federal Judge Garaufis struck a blow for racial equality with this decision, but the FDNY has a long way to go before it will be an equitable organization in practice. Until that time, the kind of excessive valorization of firefighters that goes on – perhaps especially in this city – will always be a bit tempered for me by the knowledge that this particular form of on-the-job heroism is only available to a few, white men. 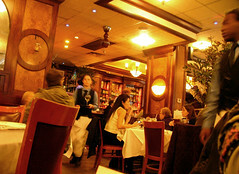 A newly released matched study reveals racism in hiring patterns in New York City restaurants ( photo credit: ktylerconk ). Matched studies, like the one used in this research, are basically field experiments in which pairs of applicants who differ only by race (or sometimes gender) are sent to apply for housing, seek services or accommodations, or, in this case, apply for jobs. In this study, economist Marc Bendick, Jr. sent pairs of applicants with similar résumés and matched for gender and appearance; the only difference in each pair was race. Bendick found that white job applicants were more likely to receive followup interviews, be offered jobs, and given information about jobs, and their work histories were less likely to be investigated in detail than their black counterparts. If you’re one of the many graduate students who read this blog and you’re contemplating what to do for a dissertation, consider a matched study. We need more of them and this type of research gets well-reviewed in the top sociology journals. Another recent matched study in sociology is the one that Devah Pager did for her 2003 AJS piece, “The Mark of a Criminal Record.” In this research, Pager matched pairs of individuals (again with similar résumés and matched on gender) applied for entry-level jobs—to formally test the degree to which a criminal record affects subsequent employment opportunities. The findings of her study reveal that a criminal record presents a major barrier to employment; and with regard to racism, Pager found that blacks are less than half as likely to receive consideration by employers, relative to their white counterparts. Perhaps most disturbing in Pager’s research is the finding that black nonoffenders, that is African Americans with no criminal record, were less likely to get a job than whites with prior felony convictions. Matched studies, such as the just released Bendick’s study of hiring in restaurants and Pager’s classic study of entry-level hiring of those with (and without) the mark of a criminal record, are important social science research for investigating the persistence of racial discrimination in hiring practices. Wednesday’s Page Six cartoon – caricaturing Monday’s police shooting of a chimpanzee in Connecticut – has created considerable controversy. It shows two police officers standing over the chimp’s body: “They’ll have to find someone else to write the next stimulus bill,” one officer says. It was meant to mock an ineptly written federal stimulus bill. Period. But it has been taken as something else – as a depiction of President Obama, as a thinly veiled expression of racism. This most certainly was not its intent; to those who were offended by the image, we apologize. However, there are some in the media and in public life who have had differences with The Post in the past – and they see the incident as an opportunity for payback. To them, no apology is due. Sometimes a cartoon is just a cartoon – even as the opportunists seek to make it something else. Clearly, we still have a lot of work to do in this putatively post-racial era. If you’d like to take some action on this particular issue, you can sign on to the letter of protest at Color of Change. If you’re in the New York City area, there’s another protest in front of the News Corp building (6th Ave., between 47th and 48th) later today, Friday, February 20th, at 4:45pm. UPDATES (2/24/09): Lots has happened on this story since Friday. Among the highlights (or, low lights if you prefer): There are widespread reports of dissention in the ranks of The New York Post over the cartoon, ranging from an email sent by editor Sandra Guzman to reporters, saying she had “nothing to do with the cartoon,” to today, Murdoch including his own, slightly less half-hearted, apology in the paper. Michael Wolff, author of a book about Murdoch, appearing on Olbermann’s MSNBC show speculates that Murdoch is “livid” about the cartoon, and predicts that this is a career-ending decision for Col Allen, the current editor of The New York Post. Meanwhile, Benjamin Todd of the NAACP is calling for the firing of Sean Delonas, the cartoonist who drew the offensive chimp-cartoon. And, I continue to be amazed (I know, I know – I shouldn’t be) by the number of white people (and some other folks) who just don’t get the racism of this cartoon. Today’s New York Post, a tabloid paper owned by Rupert Murdoch, published an editorial cartoon that shows two cops talking, standing over a chimpanzee they’ve just shot (a reference to this recent story in nearby Connecticut). The caption reads, “They’ll have to find someone else to write the next stimulus bill,” a clearly racist jab at President Obama, comparing him to the chimpanzee. You can see the image here (h/t to Emery Graham, Jane Adams, Andrea Siegel, Jerry Krause, Eric Margolis and all the good folks on the IVSA listserv). The cartoon is created by Sean Delonas, who as Hamilton Nolan at Gawker notes, has a rich history of creating similarly vile, loathsome cartoons. As I’ve pointed out here before, racist jokes and cartoons are nothing new, and indeed, racist cartoons and jokes were a consistent strategy used by detractors to Obama’s campaign. In fact, Obama’s presidency has created a whole new category of racist jokes and cartoons. A Google search of “racist Obama jokes” today yields 1,910,000 results; a similar search for “racist Obama cartoons,” yields 1, 050,000 results. What’s really remarkable here is that this particular racist cartoon is not just getting published on some individual’s website dedicated to racist “humor,” but in fact, it is being published by a major (albeit, tabloid) newspaper in New York City. Rev. Al Sharpton gets is right when he says that the cartoon is “troubling at best given the historic racist attacks of African-Americans as being synonymous with monkeys.” (An aside about Rev. Al: Y’all can say what you will about Rev. Al, but living in New York City and seeing him at most of the same rallies I go to and hearing him on local news, he gets it right more often than he gets it wrong. In the national mainstream press, he’s regularly treated with derision, but I have a lot of respect for him.) In fact, I think he doesn’t go quite far enough here. What’s also troubling about this particular image is the not-so-subtle threat (again) to President Obama’s life and the similar way in which this cartoon legitimates the police-shootings of so many young, black and brown men on the streets of New York City and beyond. Sean Bell, Oscar Grant, anyone? It doesn’t matter though, they were just “monkeys” – as one of the commenters on this blog referred to Oscar Grant just a few weeks ago. For those of you who might be new to studying and understanding how dehumanization works, one of the first steps is comparing human beings to animals. This makes their mistreatment, torture, and murder easier to accept. It’s an especially effective tool when a major newspaper runs images that dehumanize whole categories of people. Right, so Rev. Al is an opportunist and therefore Allan doesn’t have to take anything he says seriously. Well, I have a feeling there are going to be a lot more people outraged about this one. If you’re in the New York City area, and want to get involved in a protest about this, there’s one tomorrow, Thursday, 2/19 at noon, at the midtown offices of the New York Post, 1211 6th Ave., between 47th and 48th Streets. Rev. Al and I will be there.